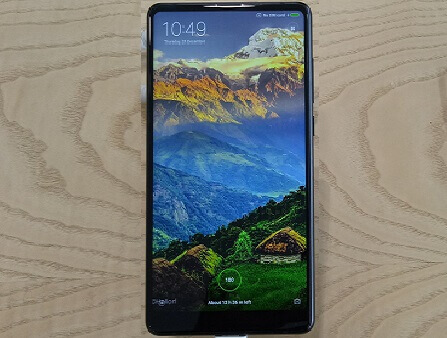 A report has been leaked about the Xiaomi Mi Max 3. According to the leaked report, Mi Max 3 can be launched with 5500mAh battery, iris scanner, and wireless charging support. XDA Developers claims that Xiaomi Mi Max 3 will have Qualcomm Snapdragon 660 processor. Apart from this, The Mi Max 2 has a 5300mAh battery So the maximum capacity of Mi Max 3 can be given is 5500mAh. In addition, the phone will have a 6.99-inch display with an aspect ratio of 18:9. The highlight of the latest rumor is that it features wireless charging support. Also, Xiaomi is a member of the Wireless Power Consortium last year, which is known as wireless charging. In this case, it is also expected that there is support for wireless charging. On the phone, there will be Iris Scanner, Android Oreo 8.0. The phone is expected to launch in June 2018, and the price of Mi Max 3 phone is Rs. 17,400. However, the actual price in India and specifications of Xiaomi Mi Max 3 smartphone will be known only after the launch.